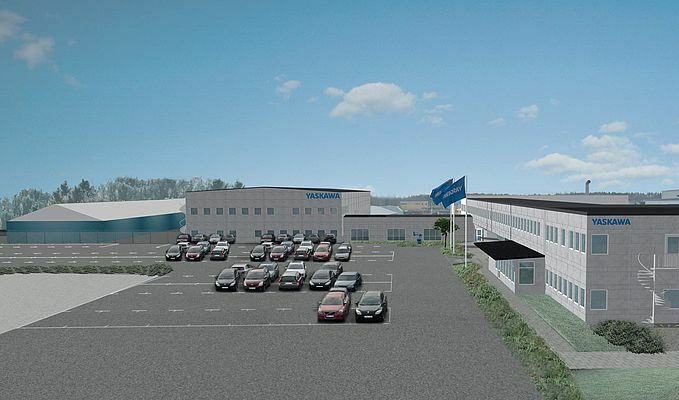 YASKAWA is continuing its expansion and investment in its European production capacity with new manufacturing facilities in France and Sweden. This is in addition to the new facilities recently announced for Slovenia and Allershausen near Munich. These new production facilities will be in Nantes, France providing floor space of 6.700m² combining drives, motion and control with robotics products for the French market while in Torsas, Sweden an existing facility is to be refurbished and upgraded to the latest standards. They are in addition to YASKAWA’s recent announcement that they are investing in a new European robotics development centre and a new robot production plant in Slovenia, and extending their Robotics headquarters at Allershausen near Munich, by a further 5,000 m2 of useable space. These investments are part of the group’s European initiative as announced by Hiroshi Ogasawara, President and CEO of YASKAWA Electric, and Manfred Stern, Corporate Vice-President of YASKAWA Electric and CEO of YASKAWA Europe at a recent press conference. Whilst expanding their infrastructure, the strategy also includes a strengthening of development and application engineering, accompanied by acquisitions to reinforce the ‘Energy’ and ‘Marine’ divisions.